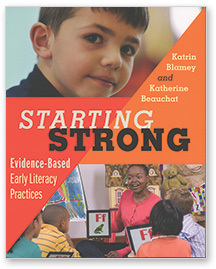 Four evidence-based instructional approaches create an essential resource for any early literacy teacher or coach. Improve your teaching practices in all areas of early literacy. Use four proven instructional approaches—standards based, evidenced based, assessment based, and student based—to improve their teaching practice in all areas of early literacy.